English: pdf, ps. Français: pdf, ps. Invited Researcher in Macroeconomics, Institut für Wirtschaftsforschung Halle, Germany. IWH, IWH: Macroeconomic Dynamics and Stability, IWH: Researchers in Macroeconomic Dynamics and Stability. 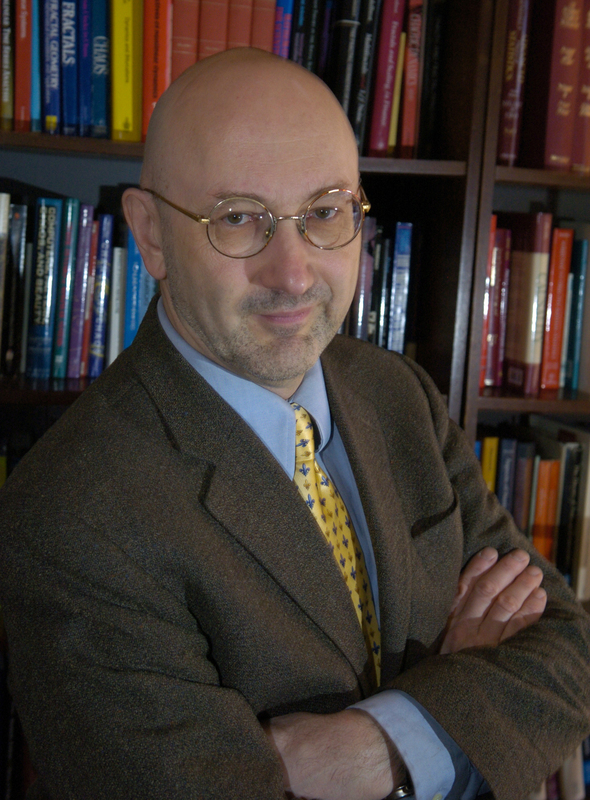 Director, Canadian Econometrics Study Group (CESG) / Directeur, Atelier canadien d'économétrie (ACE). Press release (June 20, 2013), Communiqué (20 juin 2013). SSHRC Council, Conseil d'administration du CRSHC. Member of jury, Donner Foundation Award for the Best Public Policy Book by a Canadian, 2014 - . The Donner Prize, Donner Prize Jury for 2014/15. Press releases: March 9, 2007 (Bank of Canada, pdf); April 13, 2012 (Bank of Canada, pdf). Communiqués: 9 mars 2007 (Banque du Canada, pdf); 13 avril 2012 (Banque du Canada, pdf). Bio: 2007 (English, français), 2012. Bank of Canada Annual report 2007 / Rapport annuel 2007 de la Banque du Canada. Bank of Canada Annual report 2012 / Rapport annuel 2012 de la Banque du Canada. 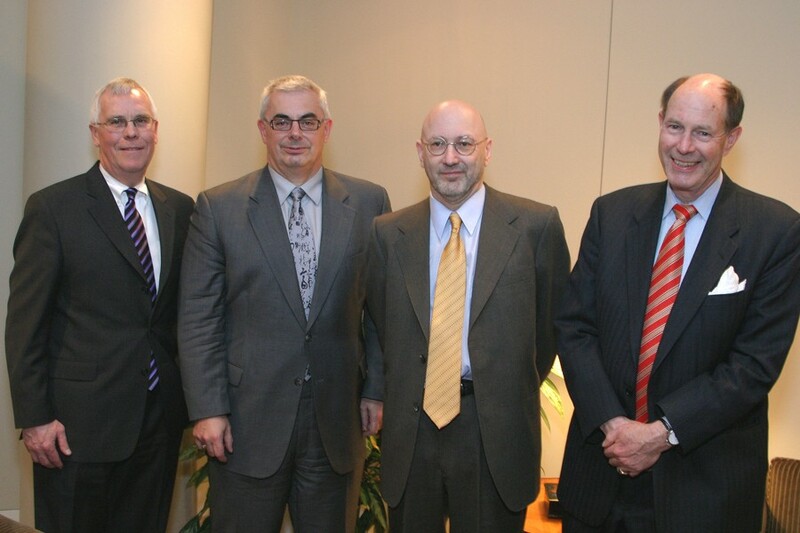 Photographs: 2007 Fellow ceremony, Bank Governor, Fellows. Killam Research Fellow, Canada Council for the Arts / Conseil des Arts du Canada, 1998-2000. Ambassadors' Club - FRQ Prize, given by the Fonds de Recherche du Québec (FRQ) for the organization of the 11th World Congress of the Econometric Society at the Palais des Congrès de Montréal, November 28, 2016. pdf (E), Palais des Congrès . Prix du Club des Ambassadeurs - FRQ, décernué par les Fonds de Recherche du Quuébec (FRQ) pour l'organisation du 11e congruès mondial de la Sociuétué d'Économuétrie au Palais des Congruès de Montruéal, 28 novembre 2016. pdf (F), Palais des Congrès . Pierre-de-Fermat Chair of excellence ("Chaire d'excellence Pierre-de-Fermat") for visiting professors, Toulouse School of Economics (Université de Toulouse I, France), 2012-2013. Banco Santander de Madrid Chair of excellence ("Cátedra de Excelencia") for visiting professors, Universitad Carlos III de Madrid (Spain), 2011-2012. Officer of the Order of Canada / Officier de l'Ordre du Canada, Governement of Canada / Gouvernement du Canada, 2008. Press release / Communiqué : English, français. Officier de l'Ordre national du Québec (Officer of the National Order of Québec), Gouvernement du Québec, 2006. Page web (avec film) / web page (with film). Allocution du premier ministre (citation by Prime Minister). / Léon-Gérin Prize for social sciences, Government of Québec, 2008. Les Prix du Québec: English, français. Articles: Le Devoir (20 novembre 2008), Le Devoir (22 novembre 2008), Les débrouillards (avril 2009). / Prix Killam pour les sciences sociales, Fondation Killam et Conseil des Arts du Canada, 2006. Personnalité de la semaine La Presse / Radio-Canada ( Personality of the week La Presse / Radio-Canada), 23 avril 2006. Article (23 avril 2006 / April 26, 2006). Konrad Adenauer Research Award, Alexander von Humboldt Foundation (Germany), 2005. 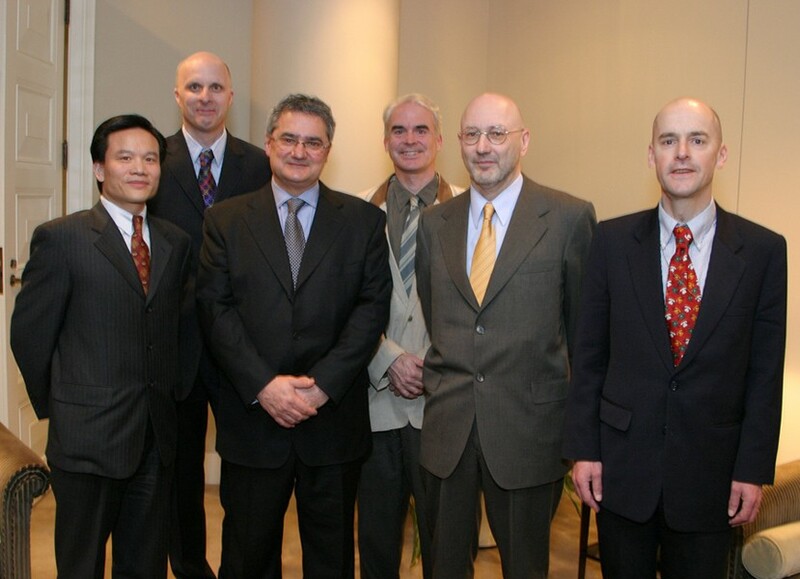 Prix Marcel-Vincent Prize pour les sciences sociales / Marcel-Vincent Prize for social sciences, Association francophone pour le savoir (Acfas), 2005. Funded by / Financé par : Bell Canada. Articles: Le Devoir (8 octobre 2005), Forum (10 octobre 2005). President / Président, 2002 - 2003, Canadian Economics Association . President / Président, Société canadienne de science économique, 1998-2001. Société canadienne de science économique, 2000. Funded by / Financé par : National Bank of Canada. John Rae Prize for Outstanding Research, Canadian Economics Association, 1994. Société canadienne de science économique, 1988. Associate Editor, Econometrica, 1996 - 2002. Associate Editor, Econometric Theory, 1991-1993. Associate Editor, Canadian Journal of Economics, 1984-1988. "On the sensitivity of Granger Causality to errors-in-variables, subsampling and linear transformations"
(with Brian Anderson and Manfred Deistler). Discussion Paper, Department of Economics, McGill University, CIREQ and CIRANO, 21 pages. Latest version (September 2018): pdf, ps. "Wald tests when restrictions are locally singular"
(with Eric Renault and Victoria Zinde-Walsh). Discussion Paper, Department of Economics, McGill University, CIREQ and CIRANO, 52 pages. Latest version (December 2017): pdf, ps. "Confidence sets for inequality measures: Fieller-type methods"
(with Emmanuel Flachaire, Lynda Khalaf and Abdallah Zalghout). Discussion Paper, Department of Economics, McGill University, CIREQ and CIRANO, 16 pages. "Finite-sample generalized confidence distributions and sign-based robust estimators in median regressions with heterogeneous dependent errors"
Discussion Paper, Department of Economics, McGill University, CIREQ and CIRANO, 45 pages. Latest version (January 2017): pdf, ps. CIRANO DP 2017: pdf, CIRANO 2017s-06. CIREQ DP 2017: pdf, CIREQ 01-2017-cah. "Exogeneity tests, incomplete models, weak identification and non-Gaussian distributions: invariance and finite-sample distributional theory"
Discussion Paper, Department of Economics, McGill University, CIREQ and CIRANO, 56 pages. Latest version (July 2018): pdf, ps. CIRANO DP 2016: pdf, CIRANO 2016s-62. CIREQ DP 2016: pdf, CIREQ 14-2016-cah. arXiv 2016: pdf, ps, arXiv:1701.07050v1. IDEAS 2016: IDEAS (CIRANO), IDEAS (CIREQ). "Identification-robust moment-based tests for Markov-switching in autoregressive models"
Discussion Paper, Department of Economics, McGill University, CIREQ and CIRANO, 22 pages. Latest version (May 2017): pdf, ps. CIRANO DP 2016: pdf, CIRANO 2016s-63. CIREQ DP 2016: pdf, CIREQ 15-2016-cah. arXiv 2016: pdf, ps, arXiv:1701.00029v1. "Exchange rates and commodity prices: measuring causality at multiple horizons"
(with Hui Jun Zhang and John Galbraith). Discussion Paper, Department of Economics, McGill University, CIREQ and CIRANO, 40 pages. September 2015: pdf, ps; October 2013: pdf, ps. CIRANO DP 2013: 2013s-39. "Permutation tests for comparing inequality measures"
(with Emmanuel Flachaire and Lynda Khalaf). Discussion Paper, Department of Economics, McGill University, CIREQ and CIRANO, 37 pages. Latest version: November 2017 (pdf). Earlier versions : December 2015 (pdf). "Weak identification in probit models with endogenous covariates"
Discussion Paper, Department of Economics, McGill University, CIREQ and CIRANO, 17 pages. Latest version : April 2018 (pdf). Earlier versions : November 2017 (pdf), August 2017 (pdf). "Generalized C(α) tests for estimating functions with serial dependence"
(with Alain Trognon and Purevdorj Tuvaandorj). Discussion Paper, Department of Economics, McGill University, CIREQ and CIRANO, 29 pages. "Invariant tests based on M-estimators, estimating functions, and the generalized method of moments"
"Identification-Robust Factor Pricing: Canadian Evidence"
(with Marie-Claude Beaulieu and Lynda Khalaf). Discussion Paper, Department of Economics, McGill University, CIREQ and CIRANO, 5 pages. "Editors' Introduction: Identification, Simulation and Finite Sample Inference"
(with Marie-Claude Beaulieu, Lynda Khalaf, and Craig MacKinlay). "Identification-robust inference for endogeneity parameters in linear structural models"
Discussion Paper, Department of Economics, McGill University, CIREQ and CIRANO, 33 pages. "Exact confidence sets and goodness-of-fit methods for stable distributions"
"Finite-sample resampling-based combined hypothesis tests, with applications to serial correlation and predictability"
(with Lynda Khalaf and Marcel Voia). Discussion Paper, Department of Economics, McGill University and Carleton University, CIREQ and CIRANO, 23 pages. October 2013: pdf, ps, CIRANO DP 2103s-40. "Factor-Augmented VARMA models with Macroeconomic Applications"
Discussion Paper, Department of Economics, McGill University and Carleton University, CIREQ and CIRANO, 47 pages. Discussion Paper, McGill University (Department of Economics), CIREQ, CIRANO and CREST (Paris), 47 pages. "Identification-robust analysis of DSGE and structural macroeconomic models"
(with Lynda Khalaf and Maral Kichian). Discussion Paper, McGill University (Department of Economics), CIREQ and CIRANO, 30 pages. January 2013 (pdf, ps); May 2012 (pdf, ps). "Identification-robust estimation and testing of the zero-beta CAPM"
Programs and data - October 2013: zip . "Measuring high-frequency causality between returns, realized volatility and implied volatility"
(with René Garcia and Abderrahim Taamouti). Discussion Paper, McGill University (Department of Economics), CIREQ and CIRANO, 2010 (first version: 2006; revised 2008, 2009, 2010). pdf, ps. Empirical appendix: pdf, ps. September 2009 version: pdf, ps. "Asymptotic distributions for some quasi-efficient estimators in echelon-form VARMA models"
(with Tarek Jouini). Discussion Paper, McGill University (Department of Economics), CIREQ and CIRANO, 2008 (revised 2010 and 2013), 53 pages. December 2013: pdf, ps. September 2008: pdf, ps. "On the precision of Calvo parameter estimates in structural NKPC models"
Discussion Paper, McGill University (Department of Economics), CIREQ and CIRANO, 2009, 27 pages. pdf, ps. "Exact optimal inference in regression models under heteroskedasticity and non-normality of unknown form"
Discussion Paper, McGill University (Department of Economics), CIREQ and CIRANO, 2009, 39 pages. pdf, ps. "Practical methods for modelling weak VARMA processes: identification, estimation and specification with a macroeconomic application"
Discussion Paper, McGill University (Department of Economics), CIREQ and CIRANO, 2008, 47 pages. pdf, ps. "Comments on "Weak instrument robust tests in GMM and the new Keynesian Phillips curve" by F. Kleibergen and S. Mavroeidis" (JBES Lecture). Discussion Paper, McGill University (Department of Economics), CIREQ and CIRANO, 2008, 9 pages. pdf, ps. "Short and long run causality measures: theory and inference"
Discussion Paper, McGill University (Department of Economics), CIREQ and CIRANO, 2006 (revised 2007 and 2008), 51 pages. pdf, ps. Bank of Canada Lecture, Canadian Economics Association / Association canadienne d'économique, University of Bristish Columbia (Vancouver; June 8, 2008). Slides: pdf, ps. "Multivariate residual-based finite-sample tests for serial dependence and ARCH effects with applications to asset pricing models"
(with Lynda Khalaf and Marie-Claude Beaulieu). Discussion Paper, CIRANO and CIREQ, McGill University, 2008, 34 pages. pdf, ps. "Structural change and the dynamics of energy prices: an identification-robust test for time-varying parameters"
(with Jean-Thomas Bernard, Lynda Khalaf and Maral Kichian). Discussion Paper, CIRANO and CIREQ, Université de Montréal, 2006, 20 pages. pdf, ps. "Testing Black's CAPM with possibly non-Gaussian errors: an exact simulation-based approach"
Discussion Paper, CIRANO and CIREQ, Université de Montréal, 2006, 48 pages. pdf, ps. "Simulation-Based Finite and Large Sample Inference Methods in Multiple Equation Regression Models"
Discussion Paper, C.R.D.E. and CIRANO, Université de Montréal, 1996 (revised 1997), 68 pages. "Simulation-Based Finite and Large Sample Inference Methods in Simultaneous Equations"
Discussion Paper, C.R.D.E., Université de Montréal, 1996 (revised 1997), 32 pages. Heavy tails and stable Paretian distributions in econometrics, Editor (with Jeong Kurz-Kim), special issue of Journal of Econometrics, 181, 1 (July 2014), 1-64. Heavy Tails and Paretian Distributions in Empirical Finance. A Volume Honoring Benoît Mandelbrot , Editor (with with Franz Palm and Jeong Kurz-Kim), special issue of Journal of Empirical Finance, 17 (2) 2010, 177-282. Resampling Methods in Econometrics, Editor (with Benoit Perron), Annals issue of the Journal of Econometrics, Volume 133 (2), 2006, 478 pages. Recent Developments in the Econometrics of Structural Change Editor, with Eric Ghysels), Annals issue of the Journal of Econometrics, volume 70, 1996, North-Holland, Amsterdam, 316 pages. New Developments in Time Series Econometrics (Editor, with Baldev Raj), special issue of Empirical Economics 18(4), 1993, 557-806. Government Assistance to Export Financing (with André Raynauld and Daniel Racette), Economic Council of Canada, Ottawa, 1983, 125 pages (English translation of preceding book). L'aide publique au financement des exportations (with André Raynauld and Daniel Racette), Economic Council of Canada, Ottawa, 1983, 135 pages. Journal of Time Series Analysis, forthcoming. (with Firmin Doko Tchatoka), Journal of Econometrics, forthcoming. Discussion Paper - July 2018 : pdf, ps. (with Joachim Wilde), AStA Advances in Statistical Analysis, forthcoming. Springer Nature SharedIt; Online First. Earlier versions : April 2018 (pdf), November 2017 (pdf), August 2017 (pdf). Discussion Paper - November 2017: pdf. Discussion Paper - May 2017: pdf. (with Emmanuel Flachaire, Lynda Khalaf and Abdallah Zalghout), Productivity and Inequality, edited by William H. Greene, Lynda Khalaf, Paul Makdissi, Robin C. Sickles, Michael Veall and Marcel-Cristian Voia, Springer, Berlin and New York, 2018, 143-155. Discussion Paper - December 2016: pdf, ps. "Invariant tests based on M-estimators, estimating functions, and the generalized method of moments" (with Alain Trognon and Purevdorj Tuvaandorj). Econometric Reviews, 36 (2017), 1 - 3, 182-204. Online version: Econometric Reviews, pdf, Interactive pdf. "Generalized C(α) tests for estimating functions with serial dependence" (with Alain Trognon and Purevdorj Tuvaandorj), Time Series Methods and Applications: the McLeod Festschrift, edited by Wai Keung Li, David Stanford and Hao Yu, Springer, Berlin and New York, 2016, 151-178. Discussion Paper - May 2016: pdf, ps. Discussion Paper - September 2015: pdf, ps; October 2013: pdf, ps, CIRANO DP 2013s-39. Discussion paper - June 2015: pdf, ps. "Exact confidence sets and goodness-of-fit test methods for stable distributions" (with Marie-Claude Beaulieu and Lynda Khalaf), Journal of Econometrics, 181, 1 (July 2014), 3-14. Discussion paper - October 2013: pdf, ps. "Asymptotic distributions for quasi-efficient estimators in echelon-form VARMA models" (with Tarek Jouini), Computational Statistics and Data Analysis, 73, May 2014, 69-86. Discussion paper - December 2013: pdf, ps. September 2008: pdf, ps. "Finite-sample resampling-based combined hypothesis tests, with applications to serial correlation and predictability" (with Lynda Khalaf and Marcel Voia), Communications in Statistics - Simulation and Computation, 44, 9 (October 2015), 2329-2347. Discussion paper - October 2013: pdf, ps; CIRANO DP 2103s-40. Discussion paper - January 2014: pdf, ps. More complete version - January 2014: pdf, ps; CIRANO DP 2014s-17. "Factor-Augmented VARMA models with Macroeconomic Applications" (with Dalibor Stevanovic), Journal of Business and Economic Statistics, 31 (2013), 4, 491-506. Discussion paper - May 2013: pdf, ps. "Identification-robust analysis of DSGE and structural macroeconomic models" (with Lynda Khalaf and Maral Kichian), Journal of Monetary Economics, 60, 3 (April 2013), 340-350. Discussion paper - January 2013: pdf, ps; May 2012: pdf, ps. "Identification-robust estimation and testing of the zero-beta CAPM" (with Marie-Claude Beaulieu and Lynda Khalaf), Review of Economic Studies, 83, 3 (July 2013), 892-924. Discussion paper - April 2012: pdf, ps. "A Regularized Goodness-of-Fit test for Copulas" (with Christian Genest and Wanling Huang), Journal de la Société Française de Statistique, 154 (2013), 1, 64-77. pdf, Journal de la Société Française de Statistique. "An identification-robust test for time-varying parameters in the dynamics of energy prices" (with Jean-Thomas Bernard, Lynda Khalaf and Maral Kichian), Journal of Applied Econometrics, 27 (2012), 4, 603-624. Discussion paper - October 2010: pdf, ps. "Exact optimal inference in regression models under heteroskedasticity and non-normality of unknown form" (with Abderrahim Taamouti). Computational Statistics and Data Analysis, 54 (2010), 2532-2553. Discussion Paper - June 2009: pdf, ps. "Editorial introduction: Heavy tails and stable Paretian distributions in empirical finance: A volume honoring Benoît B. Mandelbrot" (with Jeong-Ryeol Kurz-Kim and Franz Palm). Journal of Empirical Finance, 17 (2) 2010, 177-179. pdf. "Exact inference and optimal invariant estimation for the stability parameter of symmetric α-stable distributions" (with Jeong-Ryeol Kurz-Kim). Journal of Empirical Finance, 17 (2010), 180-194. pdf. Discussion Paper - July 2007: pdf, ps. "Short and long run causality measures: theory and inference" (with Abderrahim Taamouti), Journal of Econometrics, 154 (2010), 1, 42-58. pdf, ps. Discussion paper - pdf, ps. "Multivariate residual-based finite-sample tests for serial dependence and ARCH effects with applications to asset pricing models" (with Lynda Khalaf and Marie-Claude Beaulieu), Journal of Applied Econometrics, 25 (2010), 263-285. pdf, ps. "Finite-sample distribution-free inference in linear median regressions under heteroskedasticity and nonlinear dependence of unknown form" (with élise Coudin), The Econometrics Journal, Tenth Anniversary Special Issue, 12 (2009), S1, S19-S49. pdf. "Exact and asymptotic tests for possibly non-regular hypotheses on stochastic volatility models" (with Pascale Valéry), Journal of Econometrics, 150 (2009), 193-206. Elsevier. "Finite-sample multivariate tests of asset pricing models with coskewness" (with Lynda Khalaf and Marie-Claude Beaulieu), Computational Statistics and Data Analysis, 53 (2009), 2008-2021. pdf, ps. "Tests for Non-Correlation of Two Infinite-Order Cointegrated Vector Autoregressive Series" (with Chafik Bouhaddioui), Journal of Applied Probability and Statistics, 3 (2008), 1, 77-94. pdf, ps. "Market failure, inequality and redistribution", Ethics and Economics / éthique et économique, 6 (2008), 1. pdf, ps. Long version: pdf, ps. Special issue on Market failure - How pervasive is it? What to do when it happens? 6 (2008), 1. "Instrument endogeneity and identification-robust tests: some analytical results" (with Firmin Doko Tchatoka), Journal of Statistical Planning and Inference, 138 (2008), 2649-2661. pdf. "Identification" (with Cheng Hsiao), in The New Palgrave Dictionary of Economics, edited by Larry Blume and Steven Durlauf, 2008, Palgrave Macmillan, Basingstoke, Hampshire, England. "Model Selection", in The New Palgrave Dictionary of Economics, edited by Larry Blume and Steven Durlauf, 2008, Palgrave Macmillan, Basingstoke, Hampshire, England. On line, pdf. Discussion paper - pdf, ps. "Testing mean-variance efficiency in CAPM with possibly non-gaussian errors: an exact simulation-based approach" (with Marie-Claude Beaulieu and Lynda Khalaf), Journal of Business and Economic Statistics, 25 (2007), 4, 398-410. pdf. Discussion paper: pdf, ps. "Further results on projection-based inference in IV regressions with weak, collinear or missing instruments" (with Mohamed Taamouti), Journal of Econometrics, 139 (2007), 1, 133-153. pdf. More complete version: pdf, ps. "Statistical inference for calibrated parameters in computable general equilibrium models" (with Touhami Abdelkhalek), Annales d'économie et de statistique, 81 (2006), 1-32. pdf, ps. "Inflation dynamics and the New Keynesian Phillips Curve: an identification robust econometric analysis" (with Lynda Khalaf and Maral Kichian), Journal of Economic Dynamics and Control, 30 (2006), 9-10, 1707-1727. pdf. "Finite-sample simulation-based tests in VAR models with application to Granger causality testing" (with Tarek Jouini), Journal of Econometrics, 135 (2006), 1-2, 229-254. pdf. "Monte Carlo Tests with nuisance parameters: A general approach to finite-sample inference and nonstandard asymptotics in econometrics", Journal of Econometrics, 133 (2006), 2, 443-477. pdf. "Editor's introduction: Resampling methods in econometrics" (with Benoit Perron), Journal of Econometrics, 133 (2006), 2, 411-419. pdf. "Short run and long run causality in time series: inference" (with Denis Pelletier and éric Renault), Journal of Econometrics, 132 (2006), 2, 337-362. pdf. Discussion paper - pdf, ps. More complete version: pdf, ps. Data: pdf, excel, txt. "Distribution-free bounds for serial correlation coefficients in heteroskedastic symmetric time series" (with Abdeljelil Farhat and Marc Hallin), Journal of Econometrics, 130 (2006), 123-142. pdf. Discussion paper - pdf, ps. More complete version: pdf, ps. "On a simple two-stage closed-form estimator for a stochastic volatility in a general linear regression" (with Pascale Valéry), in Volume 20 (Part A) of Advances in Econometrics: Econometric Analysis of Economic and Financial Time Series, in honor of Clive Granger and Robert Engle, edited by Thomas B. Fomby and Dek Terrell, Elsevier Science, Oxford (U.K.), Elsevier Science, Oxford U.K.), 2006, 259-288. pdf, ps. "Projection-based statistical inference in linear structural models with possibly weak instruments" (with Mohamed Taamouti), Econometrica, 73 (2005), 4, 1351-1365. pdf. "Asymptotic Distribution of a Simple Linear Estimator for VARMA Models in Echelon Form" (with Tarek Jouini), in Statistical Modeling and Analysis for Complex Data Problems, edited by Pierre Duchesne and Bruno Rémillard, Kluwer/Springer-Verlag, New York, 2005, Chapter 11, 209-240. "Tests multiples simulés et tests de normalité basés sur plusieurs moments dans les modèles de régression" (with Abdeljelil Farhat and Lynda Khalaf), L'Actualité économique, 80 (2004), 593-618. pdf, ps. "Exact Multivariate Tests of Asset Pricing Models with Stable Asymmetric Distributions" ( with Marie-Claude Beaulieu et Lynda Khalaf), Numerical Methods in Finance, edited by M. Breton et H. Ben Ameur, Kluwer/Springer-Verlag, New York, 2005, Chapter 9, 173-191. pdf. Distribution of a Simple Linear Estimator for VARMA Models in Echelon Form" (with Tarek Jouini) in Statistical Modeling and Analysis for Complex Data Problems, edited by Pierre Duchesne and Bruno Rémillard, Kluwer/Springer-Verlag, New York, Chapter 11, 209-240. pdf, ps. "Simulation-based finite-sample tests for heteroskedasticity and ARCH effects" (with Lynda Khalaf, Jean-Thomas Bernard and Ian Genest), Journal of Econometrics, 122, 2 (October 2004), 317-347. pdf. "Exact simulation-based inference for autoregressive processes based on induced tests" (with Malika Neifar), in COMpsTAT 2004 - Proceedings in Computational Statistics, 16th Symposium Held in Prague, Czech Republic, 2004, edited by Jaromir Antoch, Springer, New York, 2004, 943-950. pdf, ps. "Méthodes d'inférence exactes pour un modèle de régression avec erreurs AR(2) gaussiennes" (with Malika Neifar), L'Actualité économique, 80 (2004), 501-522. pdf, ps. "Identification, Weak Instruments and Statistical Inference in Econometrics. Presidential Address to the Canadian Economics Association", Canadian Journal of Economics, 36, 4 (November 2003), 767-808. pdf. Discussion paper - pdf, ps. Slides: pdf, ps. "Finite-Sample Simulation-Based Tests in Seemingly Unrelated Regressions" (with Lynda Khalaf), in Computer-Aided Econometrics, edited by David Giles, Marcel Dekker, New York, 2003, Chapter 2, 11-35. ps, pdf. "Exact Skewness-Kurtosis Tests for Multivariate Normality and Goodness-of-Fit in Multivariate Regressions with Application to Asset Pricing Models" (with Lynda Khalaf and Marie-Claude Beaulieu), Oxford Bulletin of Economics and Statistics, 65 (2003), 891-906. pdf, ps. "Testing Causality Between Two Vectors in Multivariate ARMA Models" (with Hafida Boudjellaba and Roch Roy), in Recent Developments in Time Series, edited by Paul Newbold and Stephen J. Leybourne, The International Library of Critical Writings in Econometrics, Edward Elgar, Cheltenham, England, 2003, Chapter 21. Reprint of article published in the Journal of the American Statistical Association 87, 1992, 1082-1090. pdf. "Simulation Based Finite and Large Sample Tests in Multivariate Regressions" (with Lynda Khalaf), Journal of Econometrics 111, 2 (December 2002), 303-322. pdf. Méthodes d'inférence exactes pour des processus autorégressifs: une approche fondée sur des tests induits" (with Malika Neifar), L'Actualité économique, 78 (mars 2002), 19-40. pdf, ps. "Finite Sample Limited Information Inference Methods for Structural Equations and Models with Generated Regressors" (with Joanna Jasiak), International Economic Review , 42, 2001, 815-843. pdf. "Logique et tests d'hypothèses: réflexions sur les problèmes mal posés en économétrie. Allocution présidentielle devant la Société canadienne de science économique", L'Actualité économique, 77, Juin 2001, 171-190. pdf, ps. "L'économétrie, théorie des tests et philosophie des sciences", in Présentations de l'Académie des lettres et des sciences humaines, Société royale du Canada/The Royal Society of Canada, , Ottawa, 166-182. pdf, ps. "L'incertitude sur le comportement des exportateurs et des importateurs marocains ou l'inférence statistique dans l'équilibre général calculable" (with Touhami Abdelkhalek), in La politique économique du développement et les modèles d'équilibre général calculable, edited by Bernard Decaluwe and André Martens, Presses de l'Université de Montréal, Chapter 17, 437-469. pdf, ps. "Monte Carlo Test Methods in Econometrics" (with Lynda Khalaf), in Companion to Theoretical Econometrics, edited by Badi Baltagi, Blackwell, Oxford, U.K., 2001, Chapter 23, 494-519. pdf, ps. "Markovian Processes, Two-Sided Autoregressions and Exact Inference for Stationary and Nonstationary Autoregressive Processes" (with Olivier Torrès), Journal of Econometrics, 99, 2000, 255-289. pdf. "Short-Run and Long-Run Causality in Time Series : Theory" ( with Eric Renault), Econometrica, 66, 1998, 1099-1125. pdf. "Exact Inference Methods for First-order Autoregressive Distributed Lag Models" (with Jan Kiviet), Econometrica, 66, 1998, 9-104. pdf. "Statistical Inference for Computable General Equilibrium Models with Applications to a Model of the Moroccan Economy" (with Touhami Abdelkhalek), Review of Economics and Statistics, LXXX, 1998, 520-534. pdf. Discussion paper - pdf, ps. "Simulation-Based Finite Sample Normality Tests in Linear Regressions" (with Abdeljelil Farhat, Lucien Gardiol and Lynda Khalaf), The Econometrics Journal, 1, 1998, 154-173. pdf. "Generalized Runs Tests for Heteroskedastic Time Series" (with Marc Hallin and Ivan Mizera), Journal of Nonparametric Statistics, 9, 1998, 39-86. "Union-Intersection and Sample-Split Methods in Econometrics with Applications to SURE and MA Models" (with Olivier Torrès), in Handbook of Applied Economic Statistics, edited by David Giles and Aman Ullah, Marcel Dekker, New York, 1998, Chapter 14, 465-505. pdf, ps. "Some Impossibility Theorems in Econometrics with Applications to Structural and Dynamic Models", Econometrica, 65, 1997, 1365-1388. pdf. Discussion paper - ps, pdf. "Exact Tests in Single Equation Autoregressive Distributed Lag Models" (with Jan Kiviet), Journal of Econometrics, 80, 1997, 195-224. pdf. "Exact Nonparametric Tests of Orthogonality and Random Walk in the Presence of a Drift Parameter" (with Bryan Campbell), International Economic Review, 38, 1997, 151-173. pdf. "La causalité entre la monnaie et le revenu: une analyse fondée sur un modèle VARMA-éCHELON" (with David Tessier), L'Actualité économique, (special issue) 73, 1997, 351-366. Also in L'économétrie appliquée, (book edited by Christian Gouriéroux and Claude Montmarquette), Economica, Paris. "Recent Developments in the Econometrics of Structural Change : Overview" (with Eric Ghysels), Journal of Econometrics, 70, 1996, 1-8. pdf. "Exact Nonparametric Orthogonality and Random Walk Tests" (with Bryan Campbell), Review of Economics and Statistics, 77, 1995, 1-16. pdf. "Pitfalls of Rescaling Regression Models with Box-Cox Transformations" (with Marcel G. Dagenais), Review of Economics and Statistics, 76, 1994, 571-575. pdf. "Simplified Conditions for Non-Causality Between Two Vectors in Multivariate ARMA Models" (with Hafida Boudjellaba and Roch Roy), Journal of Econometrics, 63, 1994, 271-287. pdf. "Generalized Predictive Tests and Structural Change Analysis in Econometrics" (with Eric Ghysels and Alastair Hall), International Economic Review, 35, 1994, 199-229. pdf. "Tabulation of Farebrother's Test of Linear Restrictions : A Solution" (with Sophie Mahseredjian), Econometric Theory, 9,1993, 697-702. "New Developments in Time Series Econometrics : An Overview" (with Baldev Raj), Empirical Economics, 18, 1993, 557-564. "On the Relationship between Impulse Response Analysis, Innovation Accounting and Granger Causality" (with David Tessier), Economics Letters, 42, 1993, 327-333. pdf. "Improved Eaton Bounds for Linear Combinations of Bounded Random Variables, with Statistical Applications" (with Marc Hallin), Journal of the American Statistical Association, 88, 1993, 1026-1033. pdf. Comment on "The Importance of Seasonality in Estimating Inventory Investment Behavior Using Business Survey Data, by Marc Nerlove,David Ross and Douglas Willson", Journal of Econometrics, 55, 1993, 129-133. pdf. "Testing Causality Between Two Vectors in Multivariate ARMA Models" (with Hafida Boudjellaba and Roch Roy), Journal of the American Statistical Association, 87, 1992, 1082-1090. pdf. "Nonlinear Models, Rescaling and Test Invariance" (with Marcel G. Dagenais), Journal of Statistical Planning and Inference, 32, 1992, 111-135. "Simple Exact Bounds for Distributions of Linear Signed Rank Statistics" (with Marc Hallin), Journal of Statistical Planning and Inference, 31, 1992, 311-333. "On the Lack of Invariance of Some Asymptotic Tests to Rescaling" (with Marcel G. Dagenais), Economics Letters, 38, 1992, 251-257. pdf. "Improved Berry-Esseen-Chebyshev Bounds with Statistical Applications" (with Marc Hallin), Econometric Theory, 8, 1992, 223-240. Comment on "Cointegration and the Demand for M2 and M2+ in Canada, by Steve Ambler and Alain Paquet", in Monetary Seminar, A Seminar Sponsored by the Bank of Canada, May 7-9, 1990, edited by David Longworth, Bank of Canada, Ottawa, 1992, 169-173. "Invariance, Nonlinear Models and Asymptotic Tests" (with Marcel G. Dagenais), Econometrica, 59, 1991, 1601-1615. pdf. "Over-Rejections in Rational Expectations Models : A Nonparametric Approach to the Mankiw-Shapiro Problem" (with Bryan Campbell), Economics Letters, 35, 1991, 285-290. pdf. "Nonuniform Bounds for Nonparametric t Tests" (with Marc Hallin), Econometric Theory, 7, 1991, 253-263. "Optimal Invariant Tests for the Autocorrelation Coefficient in Linear Regressions with Stationary or Nonstationary AR(1) Errors" (withMax King), Journal of Econometrics, 47, 1991, 115-143. pdf. "Kimball's Inequality and Bounds Tests for Comparing Several Regressions under Heteroskedasticity", Economic Structural Change. Analysis and Forecasting, edited by Peter Hackl and Anders Westlund, Springer-Verlag, Berlin, 1991, 49-57. "An Exponential Bound for the Permutational Distribution of a First-order Autocorrelation Coefficient" (with Marc Hallin), Statistique et analyse des données, 15(1), June 1990, 45-56. "Exact Tests and Confidence Sets in Linear Regressions with Autocorrelated Errors", Econometrica, 58, 1990, 475-494. pdf. "Nonlinear Hypotheses, Inequality Restrictions and Non-Nested Hypotheses: Exact Simultaneous Tests in Linear Regressions", Econometrica, 57, 1989, 335-355. pdf. "Investment, Taxation and Econometric Policy Evaluation : Some Evidence on the Lucas Critique", in Statistical Analysis and Forecasting of Economic Structural Change, edited by Peter Hackl, Springer-Verlag, Berlin, 1989, 441-473. pdf. "Estimators of the Disturbance Variance in Econometric Models: Small-Sample Bias and the Existence of Moments", Journal of Econometrics, 37(2), 1988, 277-292. pdf. "Tests non paramétriques optimaux pour le modèle autorégressif d'ordre un" (with Marc Hallin), Annales d'économie et de statistique, 5, 1987, 411-434. "Recursive Stability Analysis: The Demand for Money During the GermanHyperinflation", in ModelReliability, edited by David A. Belsley and Edwin Kuh, M.I.T. Press (Boston), 1986, 18-61. "L'échangeabilité en séries chronologiques: quelques résultats exacts sur les autocorrélations et les statistiques portemanteau" (with Roch Roy), Cahiers du Centre d'études de Recherche Opérationnelle, 28(1-2-3), 1986, 19-39. "Generalized Portmanteau Statistics and Tests of Randomness" (with Roch Roy), Communications in Statistics, Theory and Methods, 15(10), 1986, 2953-2972. "Bias of S2 in Linear Regressions with Dependent Errors", The American Statistician, 40 (1986), 4, 284-285. "Monetary Control in Canada" (with Daniel Racette), in Fiscal and Monetary Policy, edited by John Sargent, Research Study no. 21, Royal Commission on the Economic Union and Development, Prospects for Canada, University of Toronto Press, 1986, 199-256. "Une évaluation économique du financement public des exportations" (with Daniel Racette), Canadian Public Policy/Analyse de Politiques, 12(4), 1986, 584-595. "Mesure et incidence des dépenses fiscales au Québec" (with Jacques Jobin), L'Actualité économique, 61(1), March 1985, 93-111. "Some Robust Exact Results on Sample Autocorrelations and Tests of Randomness" (with Roch Roy), Journalof Econometrics, 29, 1985, 257-273. pdf. "Unbiasedness of Predictions from Estimated Vector Autoregressions", Econometric Theory, 1, 1985, 387-402. "Durbin-Watson Tests for Serial Correlation in Regressions with Missing Observations" (with Marcel G. Dagenais), Journal of Econometrics, 27(3), March 1985, 371-381. pdf. "Unbiasedness of Predictions from Estimated Autoregressions when the True Order is Unknown", Econometrica, 52(1), January 1984, 209-215. pdf. "A Warning on the Use of the Cochrane-Orcutt Procedure Based on a Money Demand Equation" (with Marc Gaudry and Rick Hafer), Empirical Economics, 8, 1983, 111-117. "Provincial and Federal Sale Taxes: Evidence of the Effects and Prospects for Change" (with F. Vaillancourt), in Tax Policy Options in the 1980's, edited by W.R. Thirsk and J. Whalley, Canadian Tax Paper no. 66, Canadian Tax Foundation, Toronto, 1982, 408-435. pdf. "Generalized Chow Tests for Structural Change: A Coordinate-Free Approach", International Economic Review, 23, 1982, 565-575. pdf. "Recursive Stability Analysis of Linear Regression Relationships: An Exploratory Methodology", Journal of Econometrics, 19(1), May 1982, 31-76. pdf. "Nonparametric Testing for Time Series: A Bibliography" (with Yves Lepage and Hanna Zeidan), Canadian Journal of Statistics, 10, 1982, 1-38. pdf. "Variables binaires et tests prédictifs contre les changements structurels: une application à l'équation de St-Louis", L'Actualité économique, 57, 1981, 376-385. "Rank Tests for Serial Dependence", Journal of Time Series Analysis, 2, 1981, 117-128. pdf. "Dummy Variables and Predictive Tests for Structural Change", Economics Letters, 6, 1980,241-247. pdf. "The Cochrane-Orcutt Procedure: Numerical Examples of Multiple Admissible Minima" (with Marc Gaudry and Tran Cong Liem), Economics Letters, 6, 1980, 43-48. pdf. "Fonctions de production dans l'économie du Québec" (with Vittorio Corbo), L'Actualité économique, 54, 1978, 176-206. pdf. "On Spectral Estimation for a Homogeneous Process on the Circle" (with Roch Roy), Stochastic Processes and their Applications, 4, 1976, 107-120. pdf. "Exact Properties of Spectral Estimates for a Gaussian Process on the Circle" (with Roch Roy), Utilitas Mathematica, 5, 1974, 281-291. pdf. "Finite Sample Simulation-Based Inference in Vector Autoregressive Models" (with Tarek Jouini), 2003 Proceedings of the Business and Economic Statistics Section of the American Statistical Association, Washington, D.C., 2032-2037. "Multivariate Residual-Based Finite-Sample Misspecification Tests with Evidence from Asset Pricing Models" (with Lynda Khalaf and Marie-Claude Beaulieu), 2003 Proceedings of the Business and Economic Statistics Section of the American Statistical Association, Washington, D.C., 1298-1305. "Linear Methods for Estimating VARMA Models with a Macroeconomic Application" (with Denis Pelletier), 2002 Proceedings of the Business and Economic Statistics Section of the American Statistical Association, Washington, DC, 2659-2664. pdf, ps. "Simulation-Based Finite and Large Sample Inference Methods in Multiple Equation Regression Models" (with Lynda Khalaf), 1997 Proceedings of the Business and Economic Statistics Section of the American Statistical Association, Washington, DC. "Some Exact Inference Procedures for Stationary and Nonstationary Autoregressive Processes" (with O. Torrès), 1994 Proceedings of the Business and Economic Statistics Section of the American Statistical Association, Washington, DC, 135-140. "Parsimonious Autoregressive Conditions for Non-Causality in Multivariate ARMA Models" (with S. Nsiri and D. Tessier), 1994 Proceedings of the Business and Economic Statistics Section of the American Statistical Association, Washington, DC, 129-134. "Durbin-Watson Tests with Missing Observations: Applications and Comparisons" (with Marcel G. Dagenais), 1984 Proceedings of the Business and Economic Statistics Section of the American Statistical Association, Washington (D.C.), 525-531. "Predictive Tests for Structural Change and the St-Louis Equation", 1982 Proceedings of the Business and Economic Statistics Section of the American Statistical Association, Washington (D.C.), 323-327. [Revised English version of L'Actualité économique 57, 1981, 276-305.] pdf. "Rank Tests for Serial Correlation", 1978 Proceedings of the Business and Economic Statistics Section, Meetings of the American Statistical Association (San Diego), Washington (D.C.), 748-753. pdf. Review of "Estimation and Inference in Econometrics", by Russell Davidson and James G. MacKinnon (Oxford University Press, New York, 1993), Canadian Journal of Economics, XXVIII, 1995, 718-721.
Review of "Effects of not Knowing the Order of an Autoregressive Process on the Mean Squared Error of Prediction" by R. J. Bhansali [ Journal of the American Statistical Association, 78, 1981, Mathematical Reviews, 83, 1983, 729. "Sur les conditions de réalisation de la recherche au Québec". Slides / Diapositives (français): pdf, ps. (Institut de tourisme et de l'hôtellerie du Québec, Montréal, October 23, 2015). Forum program: French (pdf), English (pdf). / Talk for Les Sceptiques du Québec (Montréal; February 13, 2011). pdf, ps. / "On the use of Econometrics for public policy analysis", invited talk for the Association des économistes québécois (ASDEQ), Bank of Canada (Ottawa; November 22, 2006). 18th IWH-CIREQ-GW Macroeconometric Workshop on "Mixed Frequency Data in Macroeconomics and Finance"
to be held in Halle (Saale) on December 12-13, 2017. Tara M. Sinclair (The George Washington University, IWH). Call for papers: pdf. Conference web site: IWH, CIREQ. 17-21 August 2015, Montréal, Palais des Congrès. Chair of Local Organizing Committee. Course outline (Economics 706 / Winter 2019): pdf, ps. General estimation theory: pdf, ps. General issues in testing theory: pdf, ps. Unbiased and invariant tests: pdf, ps. Maximum likelihood method: pdf, ps. Tests based on likelihood functions: pdf, ps. Methods of moments: pdf, ps. Prediction and residuals: pdf, ps. General asymptotic tests: pdf, ps. Monte Carlo tests: pdf, ps. Exact inference in dynamic models: pdf, ps. Multivariate dynamic models: pdf, ps. Course outline (Economics 763 / Winter 2019): pdf, ps. This is a tentative course outline which will be updated. Introduction to time series analysis: pdf. Slides: pdf. Stochastic processes: generating functions and identification: pdf, ps. Slides: pdf, ps. Forecasting of stationary and ARIMA processes: pdf, ps. Estimation of the mean and autocorrelations of a stationary process: pdf, ps. Specification of ARIMA models by the Box-Jenkins method: pdf, ps. Model selection criteria: pdf, ps. Estimation of ARMA models by maximum likelihood: pdf, ps. ARIMA model validation: pdf, ps. Unit root tests : pdf, ps. Dufour, J.-M. (1980): "Dummy Variables and Predictive Tests for Structural Change", Economics Letters 6, 241-247. pdf. Multivariate time series modelling: pdf, ps. Properties of moments of random variables: pdf, ps. Slides: pdf, ps. Multivariate distributions and measures of dependence between random variables: pdf, ps. Slides: pdf, ps. Sequences and series: pdf, ps. Slides: pdf, ps. Notions of asymptotic theory: pdf, ps. Complex analysis and power series: pdf, ps. Slides: pdf, ps. Distribution and quantile functions: pdf, ps. Exercises 1 - Stochastic processes 1 : pdf, ps. Exercices 2 - ARMA models : pdf, ps. Sign-based tests for medians and independence : pdf, ps. Sign-based tests in linear regression : pdf, ps. Multivariate linear regression and CAPM : pdf, ps. Stable distributions in finance : pdf, ps. "Generalized C(α) tests for estimating functions with serial dependence" (with Alain Trognon and Purevdorj Tuvaandorj), Time Series Methods and Applications: the McLeod Festschrift, edited by Wai Keung Li, David Stanford and Hao Yu (Springer, Berlin and New York), forthcoming. Discussion Paper - August 2015: pdf, ps. "Invariant tests based on M-estimators, estimating functions, and the generalized method of moments" (with Alain Trognon and Purevdorj Tuvaandorj). Econometric Reviews, forthcoming. Online version: Econometric Reviews, pdf. Discussion paper - June 2016 (with minor editorial corrections): pdf, ps.